Enjoy as part of a healthy balanced lifestyle. Activia Grains & Nuts is a new tasty breakfast experience. 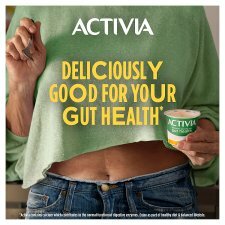 Every pot of Activia Bio Live yogurt contains exclusive culture† in a delicious yogurt you can enjoy everyday. Keep refrigerated between +1°C and +6°C Max.